I love islands and I love the Pacific, no less because it is basically made of islands. No matter how many islands or beaches I have set foot on, I still manage to get inspired and wowed by every single new fine sand, crystalline water landscape. Here are a few of my all-time favorite. At the back of Bora Bora and just across the road from the Intercontinental Le Moana Resort, Matira Beach has been named the most beautiful beach in the world several times. Once you see it from above, on any of the island tours, you will understand why it is precious. From the sand, the beach stretches out on a half moon shape with fine white sand and the most beautiful sunsets. Come here with a cocktail from Le Moana and watch the sun slowly fade into the horizon. It is said that couples used to come here to get married and you will be able to see various structures made of bamboo and local flowers that represent arches under which couples exchange their “Yes, I do”. Honeymoon Island is a flat sand bank that was created not so long ago thanks to the movement of the waters and the wind. It has a few bushes and several palm trees that have been planted by the many couples that make the trip down here as a sign of their eternal love. The whole island can be walked in fifteen minutes and can be reached on a lagoon cruise or your own boat rental for the day. It takes about 45min by boat from the main town. 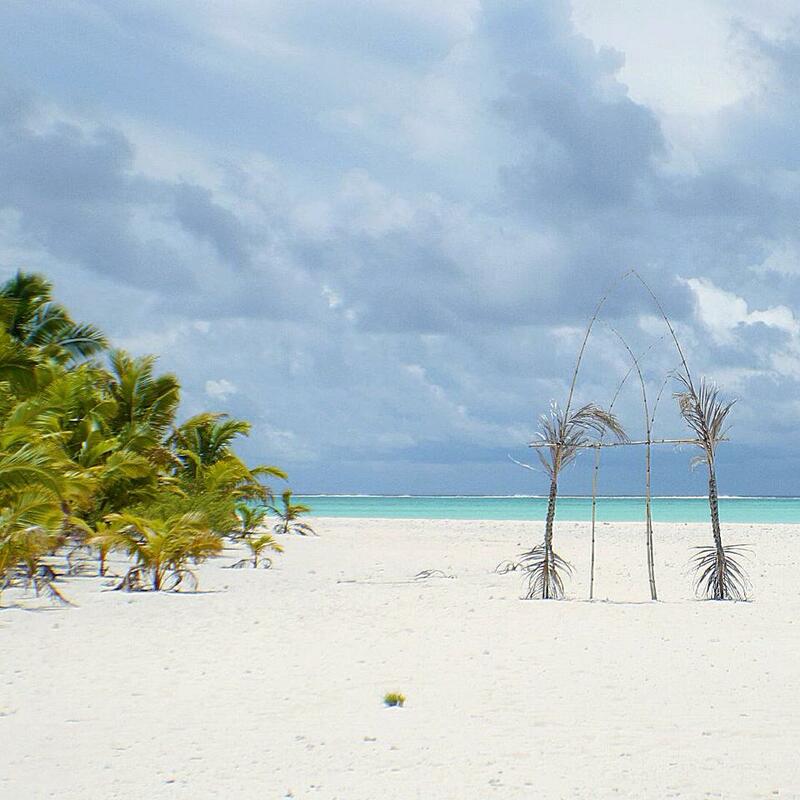 The reality is that, any of the beaches on Aitutaki lagoon, are as absolutely breathtaking so if you don’t make it to Honeymoon, any of the other will make you go “wow” all the same. 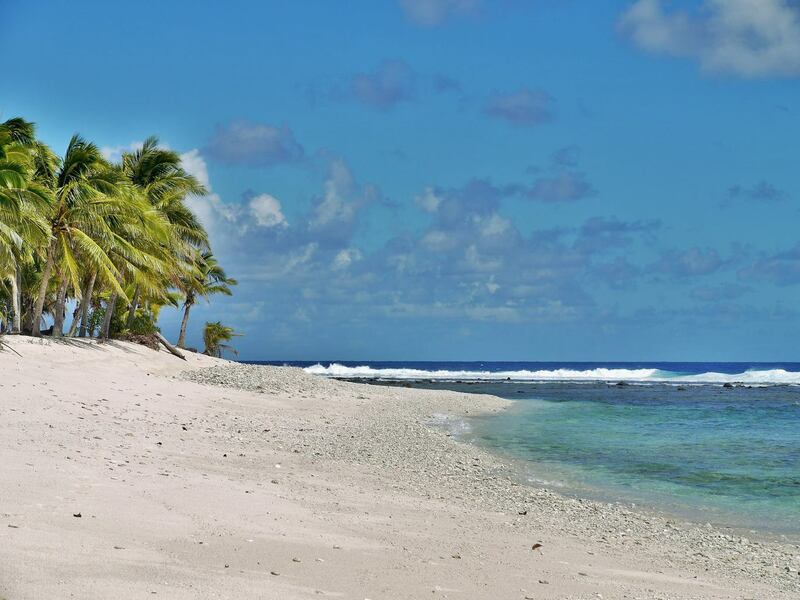 American Samoa is not known for its sandy beaches. Instead, the primarily volcanic island offers great surf, breaks and impressive cliffs. Except for Aunu Island, a tiny islet off the main coast reachable on a ten minute boat ride. Once you make it down to the dock area the boatmen will take you across as soon as the boat fills up. Aunu is populated and includes a main town area with shops to buy simple groceries as well as the main sandy beach strip. After that, the jungle takes over. There is a track that circles the island and gets lost in the middle of the thick vegetation. You will see blowholes, large breaks and even quick sands. Electricity only arrived here in 1995 but cars or dogs never have. 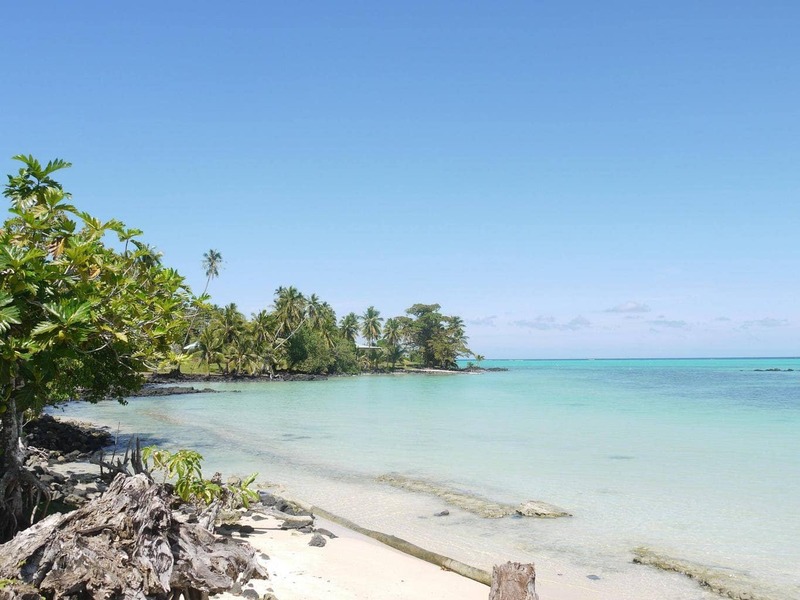 Manono is a slice of paradise off the main island of Upolu in Samoa. It has a small church and a reef with good snorkel. The locals will show you how to make coconut milk as well. Life is generally relaxing and peaceful and the water and beach are one of the most beautiful you will ever see. Enjoy the solitude after the long trek to get here. Espiritu Santo receives fewer tourists than the main island of Efate in Vanuatu and Champagne Beach requires a bit of effort so chances are you will have it all to yourself. And what a beach! 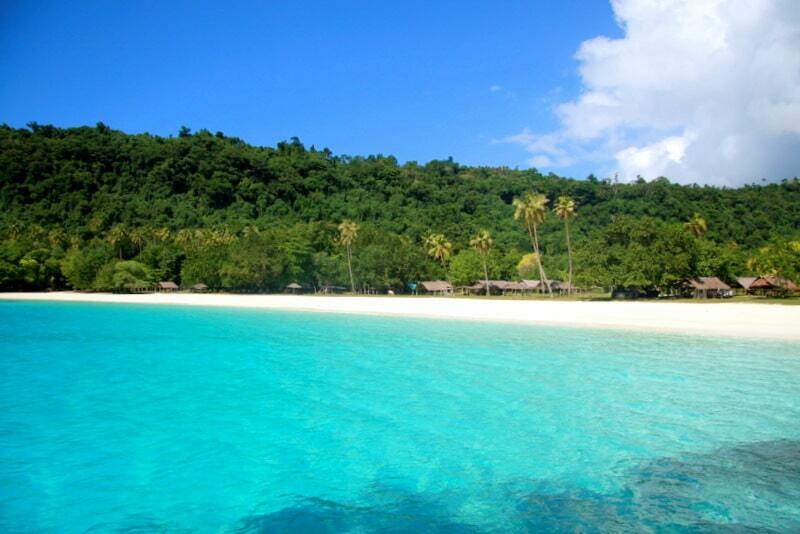 A small stretch of sand in an otherwise rough coast, Eton Beach is popular with locals and tourists visiting Efate. The blue of the water is almost unreal and the sandy beach inviting to say the least. 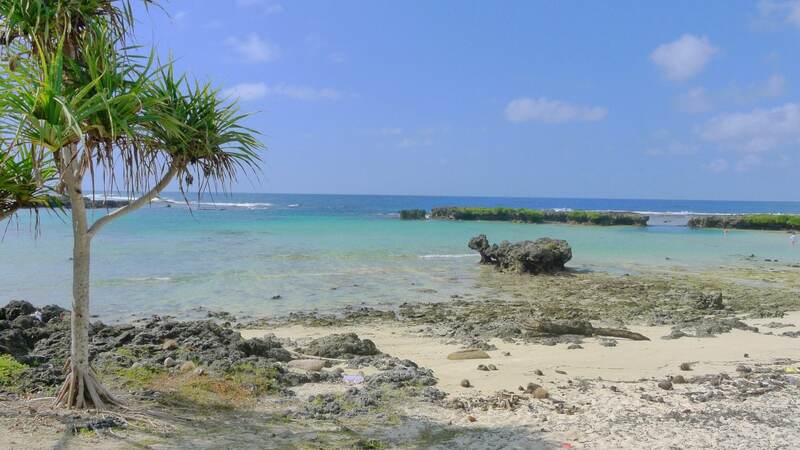 You will have to pay a small fee as all beaches in Vanuatu as privately owned, but this one goes to the local village for the preservation of the area. There are changing rooms and toilets. Technically not an island but an archipelago and group of islands but the beaches around Ghizo are stunning. 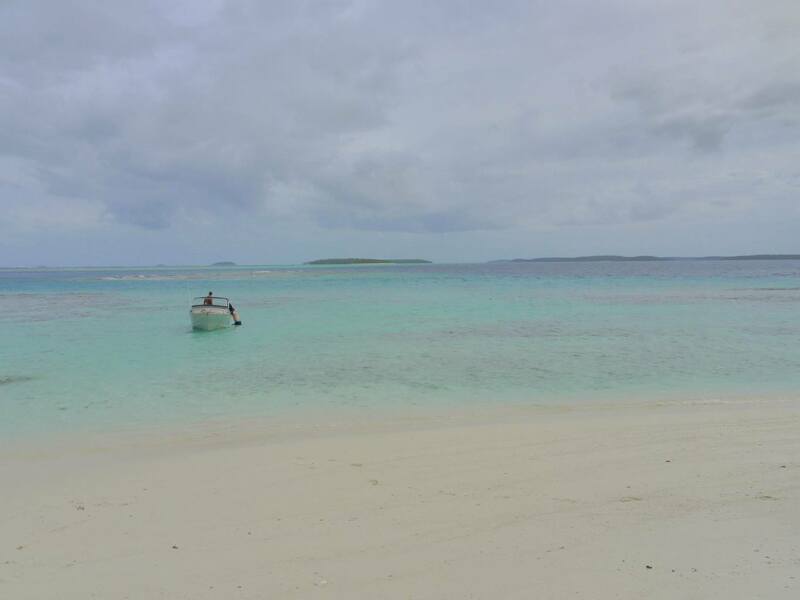 No matter where you stop on your boat you are guaranteed to find fine sandy beaches, tiny islets, palm trees, absolutely nobody in sight and the most naturally teeming reefs. It is the upside feeling of being stranded in paradise without any of the downsides as you can always get back to the “main” town, which is as remote as it gets with civilization.